Drum pallets are often loaded with flammable liquids, toxic chemicals, free-flowing hazardous solids and all manner of materials that may not be hazardous, but which would create a mess or ruin nearby products if they leaked from their containers. Spill containment pallets, because they protect worker safety and prevent environmental degradation, are required to meet specific industry standards of effectiveness and quality. Regulatory authorities like the United States Environmental Protection Agency have also written laws relevant to the storage and transportation of hazardous materials, which includes regulations for containment pallet design. Spill containment pallets, like many other pallet varieties, are usually constructed using high-density polyethylene, or HDPE, because of its natural corrosion and heat resistance. 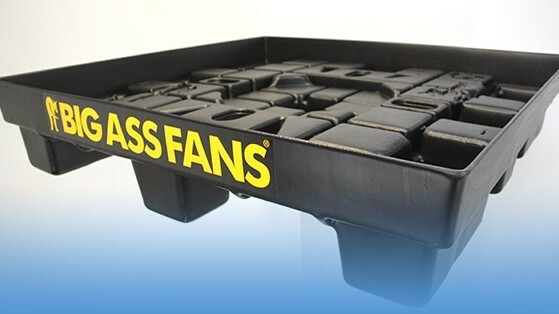 Unlike some other kinds of plastic pallets, most containment pallets must be compatibility-tested to ensure the corrosion or reactivity-resistance of the plastic to whatever material it is meant to contain. For example, HDPE is highly resistant to acetone and calcium sulfate but can be unsuitable for the containment of hexane spills. Depending on the type of material being stored, there are many different spill containment pallet types to choose from. The five main types of spill containment pallets include modular platforms or pallets, covered spill pallets, trays or bins, stackable pallets and portable pallets. 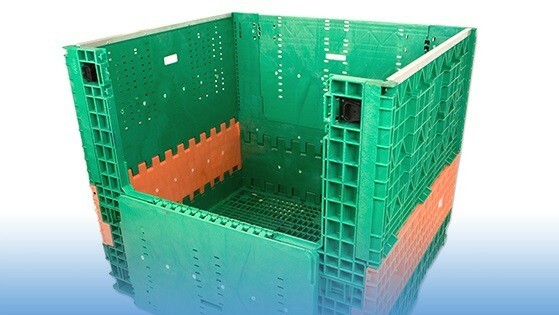 Each containment pallet variety features a characteristic that is appropriate for a certain use. Modular spill containment pallets can be customized for unique storage applications. Covered spill containment pallets are the best option for outdoor usage; they keep spills contained, which protects the environment, and they keep rain out, which protects the stored material. Spill containment trays or basins are the simplest containment pallet variety and are used for smaller containers. Stackable spill containment pallets allow for the most efficient storage of materials in terms of space utilization, as they can be stacked vertically. Dispensing spill containment pallets provide leak control during the process of dispensing liquids stored on pallets. Portable spill containment pallets are a cost-effective and simple option that allow for the pallets to be easily mobile in situations where the chemicals are required in different places in a given workspace. Spill Containment Pallets Spill containment pallets are shipping and storage surfaces that are designed to contain leaks or spills from their loaded materials. Pallets are used widely for the transportation and storage of hazardous materials.